The Facebook founder’s futuristic thinking keeps him relevant in the constantly shifting sands of technology. Mark Zuckerberg envisions a future where technology enables us to read each other’s thoughts and immerse ourselves in shared experiences—like enjoying a courtside seat at a game or studying in a classroom full of students and teachers from the comfort of our home—Using virtual reality wearables, he said in an interview with Vanity Fair. And the 32-year-old Facebook mogul wants to be that person who provides the VR technology and platform. While he has acknowledged that not everyone wants to be connected that way, his mission to provide worldwide connectivity has been consistent from the start. In 2013, he gave a more formal name to this desire by announcing the formation of Internet.org, an initiative focused “on providing connectivity and access to developing countries” that do not currently have an easy way to get online, according to The Verge. However, the tech titan did not have such high ambitions for the social platform when he launched it as a 19-year-old Harvard dropout in 2004. Known at the time as “The facebook,” the site’s original goal was to allow Harvard students to set up student profiles and connect with one another. But over the years—through aggressive strategies, acquisitions and partnerships— the company’s purpose has evolved to serve a bigger goal. And now Zuckerberg has his eyes set on dominating the up-and-coming VR technology and bring it to the masses—a move consistent with his big picture mentality. It is that sort of futurist thinking that has enabled Zuckerberg to remain relevant in the constantly shifting sands of technology and public interest. Here’s four more lessons we can take away from Zuckerberg on how to win at the long game. When it comes to hiring new employees, Zuckerberg said, “I will only hire someone to work directly for me if I would work for that person” during a town-hall discussion in Barcelona in 2015. He stated this guiding principle has helped him resist settling for lesser candidates and cited his COO Sheryl Sandberg as the perfect paragon of the sort of employee he would be happy to serve. Sandberg, he said, has been the reason behind the success of Facebook’s advertising arm. “Over the long term, you’re only going to be better if you get someone really good,” he said. He spoke about Facebook’s initiative to provide countries with poor internet access with connectivity infrastructure—not a profitable goal but an important one that he believes will solve a problem and pay off in the long run. "It’s not something that we'll make money from for a very long period of time, if it works out. But it's this deep belief that you're trying to make a change, you're trying to connect people in the world, and I really do believe if you do something good and you help people out, then eventually some portion of that good will come back to you." Often, who you marry or partner up with has a significant impact on your work life. Zuckerberg married 31-year-old Priscilla Chan, his college sweetheart at Harvard who is a pediatrician and former grade-school teacher, is a strong partner who reportedly laid down some ground rules before they married. “Because Zuckerberg is so busy with Facebook, Chan set some strict ground rules for their relationship. Chan requires a minimum of 100 minutes of alone time per week, not at Facebook. She also requires one date per week,” writes Business Insider. 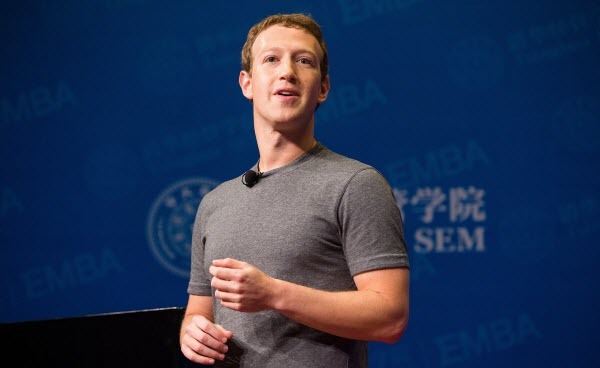 Chan has been a positive influence on Zuckerberg by steering the young mogul toward philanthropic investments in both healthcare and education. Together, they have donated more than $1.6 billion dollars since 2015. “Most days Priscilla works outside the spotlight in the hospital or the classroom. This is the first time she's on the cover of a magazine. I'm looking forward to the world getting to know the strong, kind, compassionate person I love so much." Related: Surprise! Mark Zuckerberg Isn't a Workaholic. Well, Not Exactly. It required vision to scale Facebook to what it is today. The social-media platform started as a project Zuckerberg launched from his dorm room with some friends at Harvard to connect students within the school; however when it became popular among those users, he jumped on expanding and scaling it to college students in the Boston area—and then to users in the United States. Today the social media platform hosts 1.65 billion active users worldwide as of March 2016, according to Facebook.